Capture a moment with a custom fingerprint pendant suspended on a sterling silver 18" necklace. 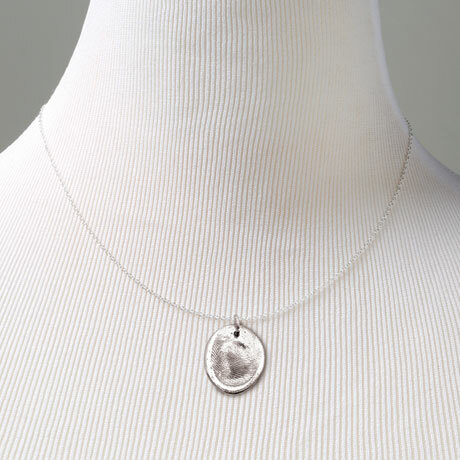 While a photograph might bend or lose clarity as time takes its toll, your custom fingerprint pendant in sterling silver can maintain a unique impression for years to come. Crafted individually in Knoxville, Tennessee, it requires only a single impression to immortalize a friend, pet, or loved one. 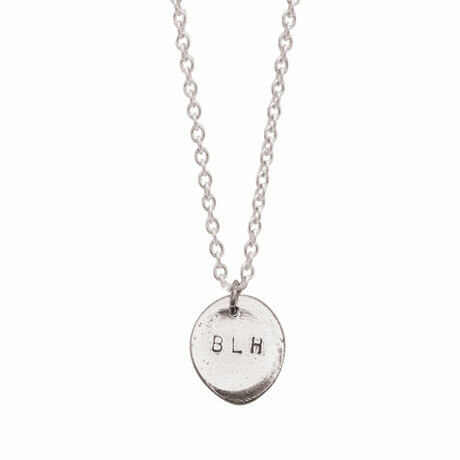 Personalize with up to 3 initials on the back. Upon receipt of kit, you will create an impression following the detailed instructions and drop it in the mail. 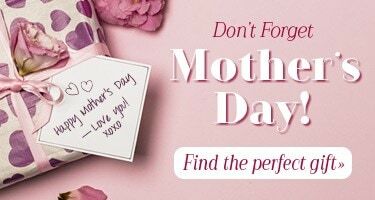 In 2-4 weeks, you will receive your custom fingerprint necklace. Item can only be shipped within the Continental US.